Black's have been living the dream since 2013. 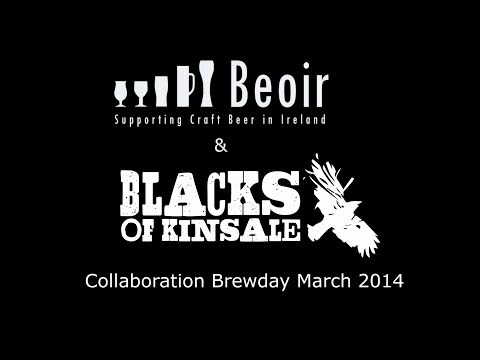 You may recall that I helped crowd-fund them a few years ago when I organised Beoir members to raise €2000. This resulted in us brewing a limited release beer called Beoir#1. You can watch the video above if you like. Always up for being innovative, Black's have just released an experimental series and sent me some samples to try. Their Discovery IPA Series features different hops. Unlike other ventures, the base beer isn't a standard affair. Each beer is different and designed to highlight the hops being used. At least that's what they would have us believe. I reckon that they are just using it as an excuse to have a bit of fun and try new things. The first up is EXP 431 and it's perfect timing for summer. A 4.3% session IPA using hops called exp431, themselves an experimental strain. The result is fruity and bitter with citrus - grapefruit and orange pith. There's not much depth to it but it's very easy going. An excellent lawnmower beer. A little more up my street is the Mosaic. 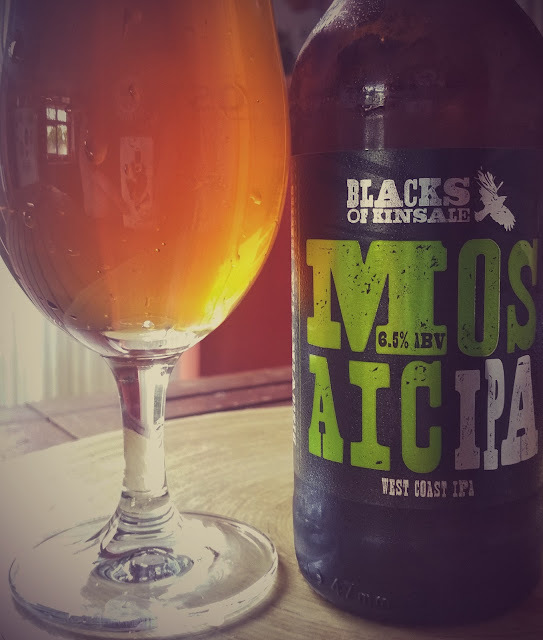 This 6.5% West Coast IPA has intense tropical fruits and citrus with plenty of fresh pine resin. There's a pervasive bitterness but there's also some malt body to balance it out. It's absolutely delicious. Not content with the other two, Sam literally went Overkill with the next one. A 9.5% Imperial Black IPA. There are notes of molasses mixed in with citrusy grapefruit and pine. This is a bit of a beast with more going for it in the malt department than the hops. Big, chewy and bold. There are plenty of hops there of course but they struggle with their identity. It's incredibly smooth and at no point did I think I was drinking a 9.5% beer. Why call it overkill? Pretty much because it has all the feckin hops in it. 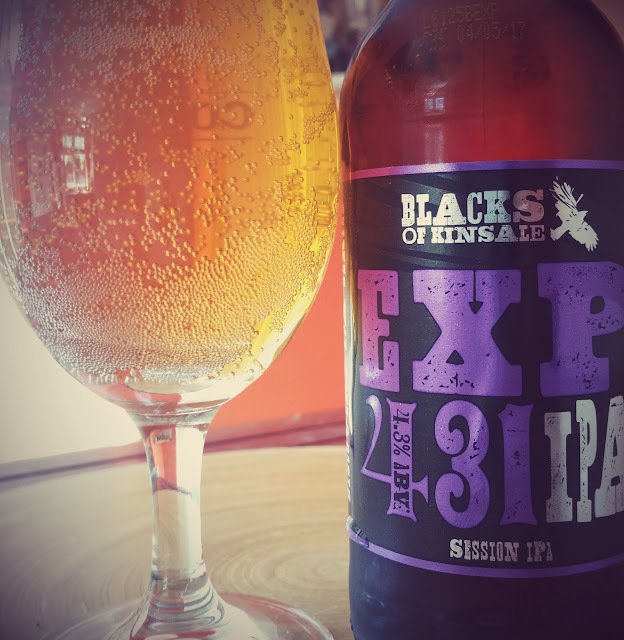 Mosiac, Exp 431, Citra, Cascade, Chinook, Centennial, Vic Secret and Equinox. 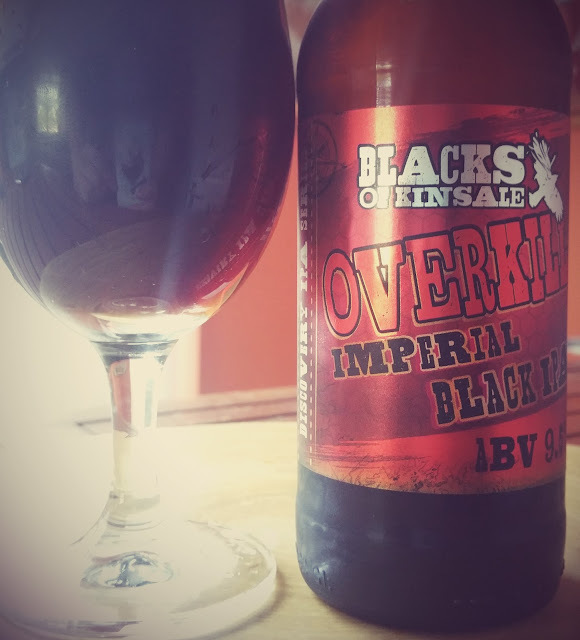 That's overkill to me, especially since the same results could probably have been achieved with just one or two of those hops but then again, the overuse of hops gives the beer its whole identity so fair play to Black's for the ballsy move.